Geek Grotto - Get Your Geek On! : CES 2013: Hands on with ioSafe's N2! CES 2013: Hands on with ioSafe's N2! While visiting Synology's booth we also had the chance to talk with Robb Moore, CEO of ioSafe, about the N2. What's so awesome about the N2? 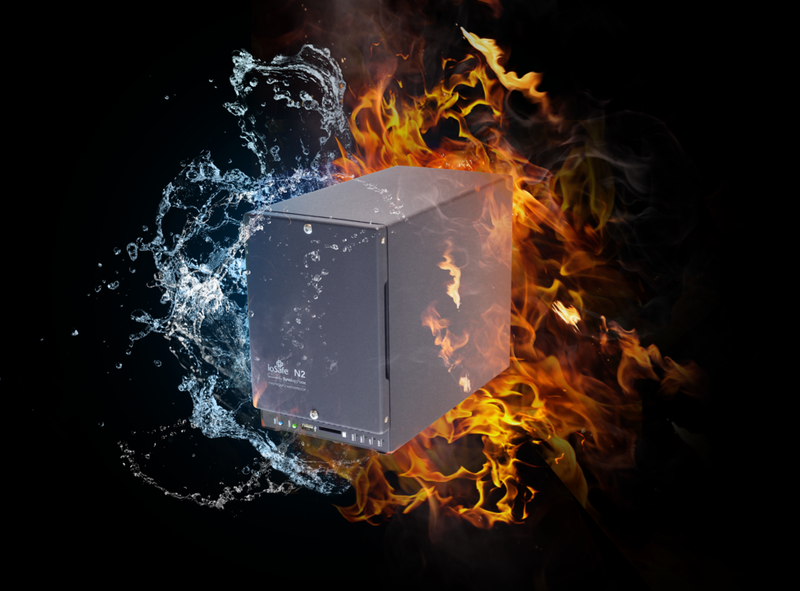 Well, it's a fire and water proof NAS running on Synology's DSM platform.What that means is that besides keeping your data safe from floods and fire, you also get access to Synology's apps like E-Mail services, VPN access, movie and music streaming and so much more.. The rusty N2 has been dunked and torched and the Hard Drives still look new! So how do the specs of the N2 hold up compared to other NAS devices? Fireproof up to 1550 Degrees for 1/2 an hour! Waterproof up to 10' for 72 hours! 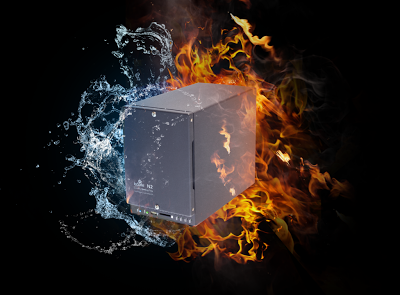 Up to 8TB (2x4GB hds) with raid 1 and are hot swappable! Built in Kensington lock slot with optional floor and pad lock kits available! 1 USB 2 port, 2 USB 3 Ports! Wireless support with optional dongle! Runs Synology's DSM, so many more functions available beyond the standard backup support, such as surveillance,VPN support, and more. You may be freaking out with the though of a 28 pound NAS, but that extra weight is what protects your precious data! Only 99¢ per Terabyte/Month to extend coverage up to 5 years — compare to cloud backup! Now this kind of protection does come at a cost starting at $899 for 1 year of service and 2 TB of storage up to $3750 with 8TB using enterprise class drives and 5 years of recovery service. That may seem steep, but data recovery services tend to charge a ton per TB, so this would be a great option for a small business to a remote location for a large scale enterprise. Watch this to get an idea of what the N2 can go through! While out of the price range of the common household, The N2 fits right at home in the business and enterprise.